Moving last minute is never ideal, as moving takes planning and a lot of work to organize. However, if you have to move within a short time there are ways to ensure you get everything packed and ready to go before the movers arrive. So if you're moving in less than a month, here's everything you need to know to move last minute without too much stress or frustration. Ideally, most people need a minimum of eight weeks to plan and pack for a move. However, last minute moves are also more common than you think with some people having to move in four weeks or less. In fact, you can even move within a week if you need to. But one of the most difficult things you'll need to do is to hire last minute movers or rent a moving truck. 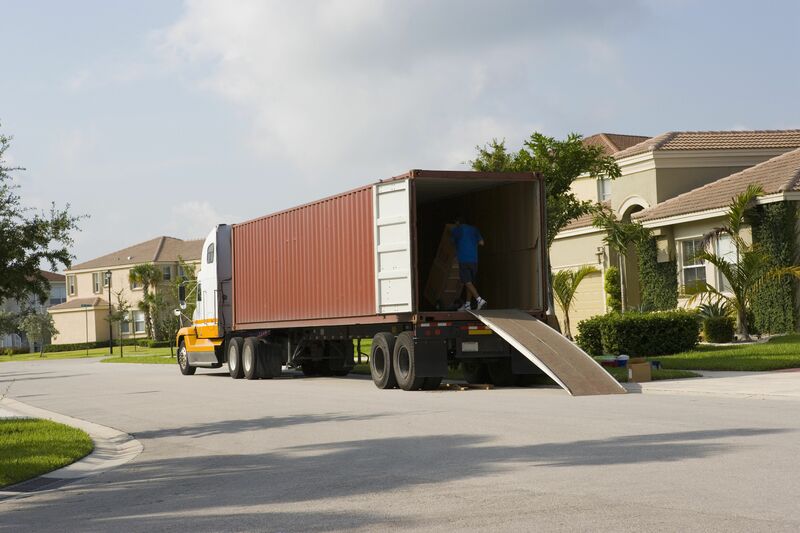 But since both tasks are tough to do on short notice, you need to have a few tricks and tips to make sure you're able to get the help you need to move. Usually, sorting and packing take the most time. In fact, it can take a couple of months to make sure you've sorted through your things, disposed of what you don't want and packed what you do want. But in the case of a quick move, you'll need to be more organized and prepared to sort and pack quickly. These tips will help ensure that you can sort and pack your things in time for a quick move. Quickly moving doesn't need to be as stressful as you first thought. If you can be a little more ruthless in how you sort your things, choosing quickly between what you'll pack and what you'll get rid of, you'll find your last minute move is fairly straightforward. Of course, it helps to have some quick tips on how to do just that - move fast, quick and easy. One of the most time-consuming tasks when moving is to pack your stuff. Professional packers save you time and energy by taking care of getting your move organized and packed in a very short time. Professional packers can be expensive and will increase your moving budget, but sometimes the cost is worth it. There are also lots of different options, too - everything from a full service that includes packing your entire household and unpacking it, to just packing one or two specialty items. Find out more about professional packing services, what they offer and whether this is the best option for your last minute move. Whenever moving from one home to another, cleaning both the house you're moving out of and the one you're moving into, is an important step in moving house. Hiring professional cleaners - just like hiring professional packers - will save you time and energy and ensure that both houses are squeaky clean before you unpack your first box. And if you're moving from an apartment or rental home and want to ensure you get your security deposit back, then it's even more critical that you leave your space as you found it - clean. While using garbage bags is not the best way to ensure your things move from your old home to the new one if you're moving quickly, then packing with garbage bags is a very easy and quick way to pack. You do need to be careful, and there are things you shouldn't pack. You'll. Also, need to check with your movers to make sure they'll accept stuff packed into garbage bags so check before you start.